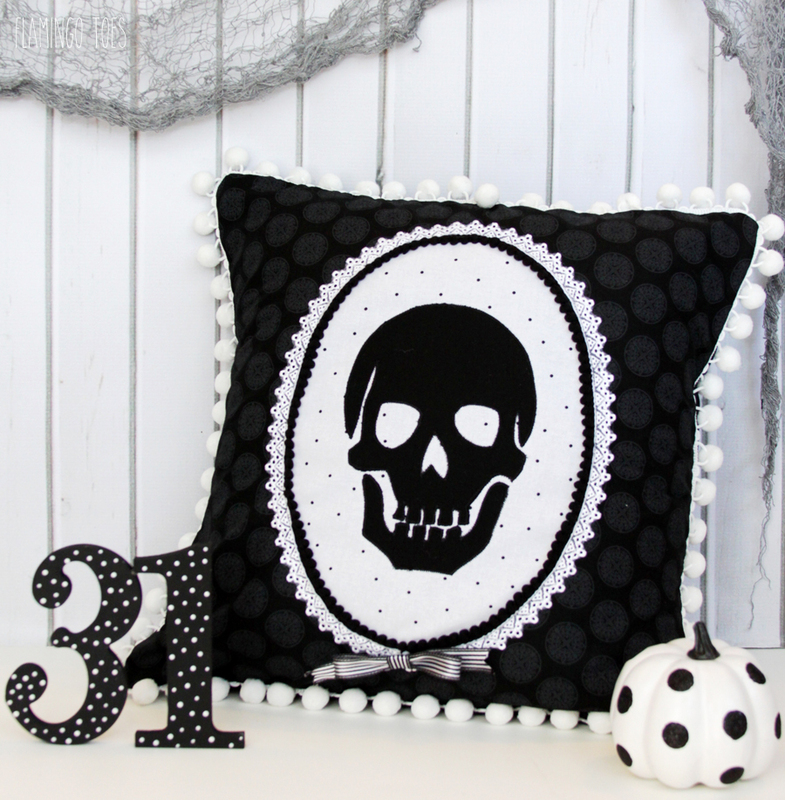 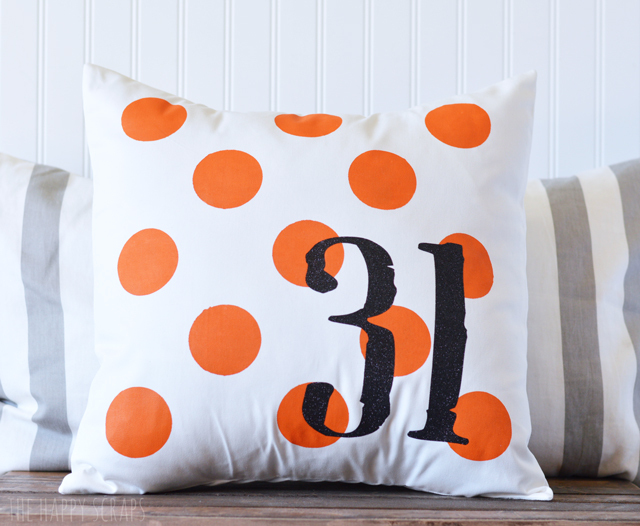 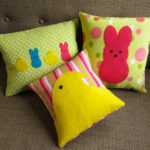 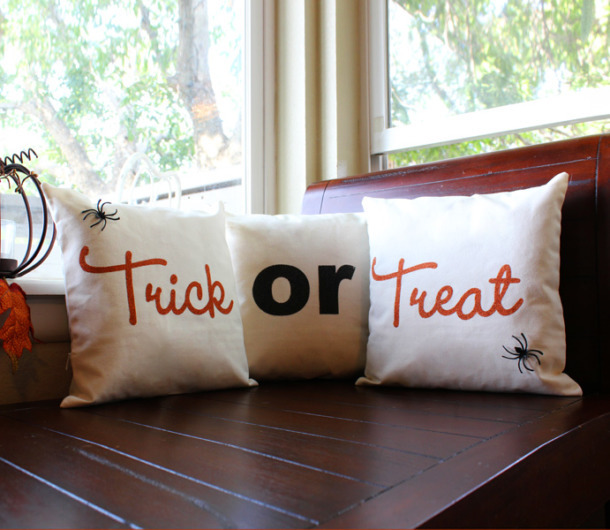 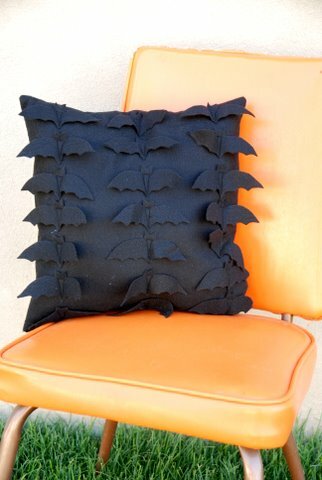 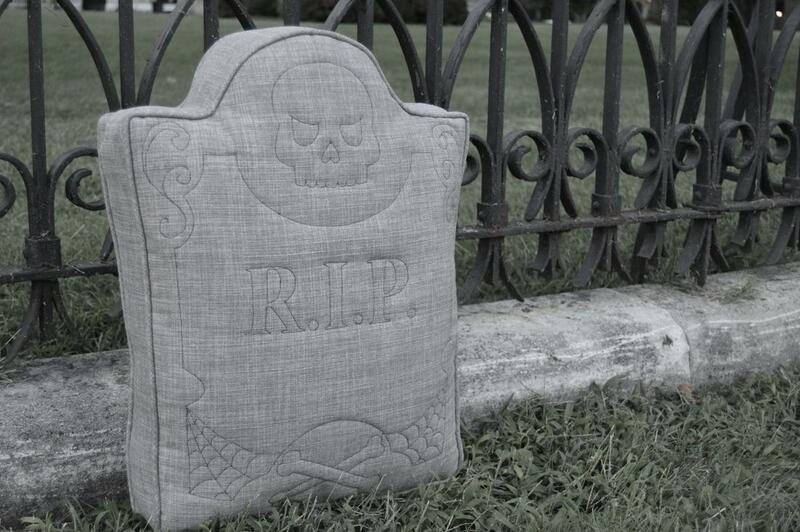 Halloween pillows are a fabulous way to quickly perk up your décor and add festivity to your home. 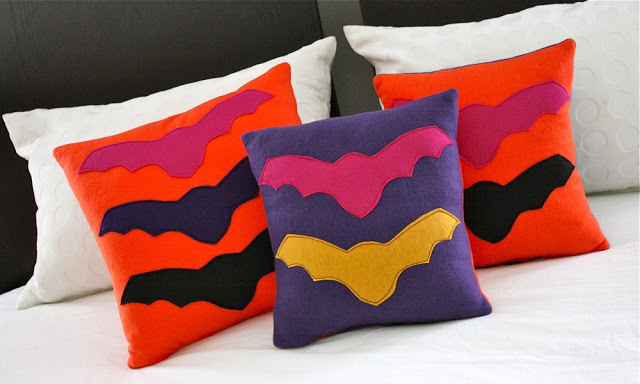 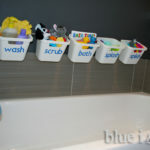 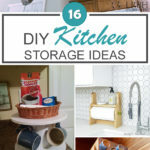 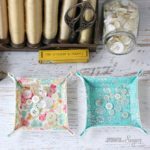 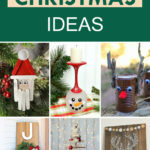 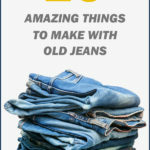 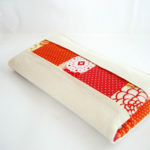 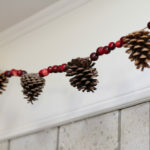 They can be placed on sofas, day beds, chairs or simply on tables as showpiece. 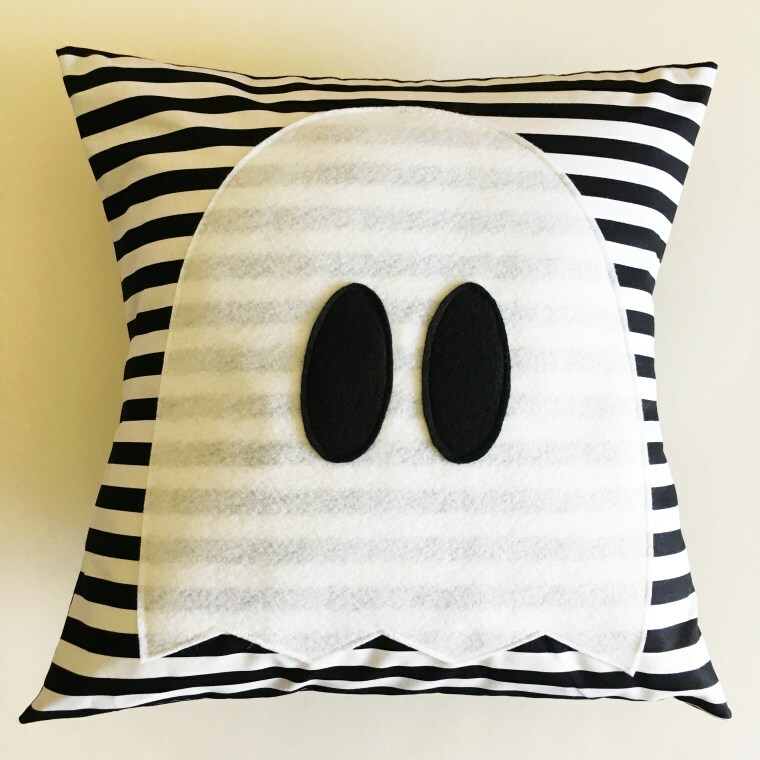 The lovely thing about Halloween themed pillows is that they can be as scary or as cute as required. 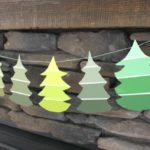 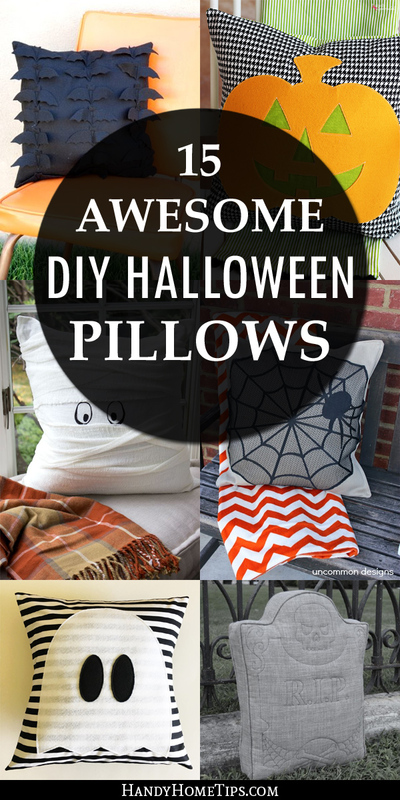 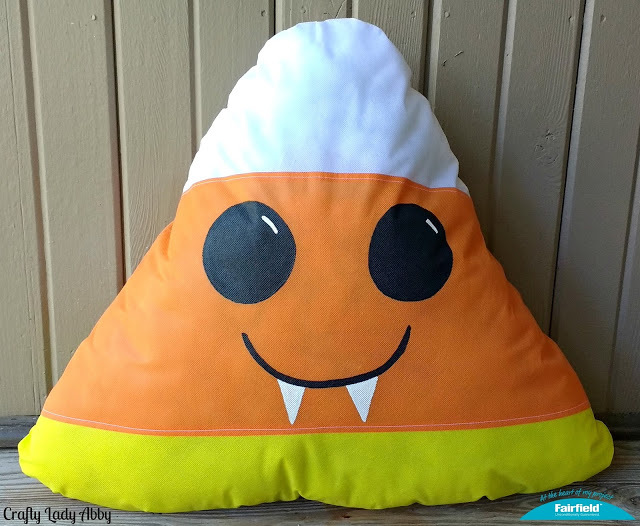 Here is a collection of fun and easy DIY Halloween pillow ideas that you can use to decorate your home this Halloween. 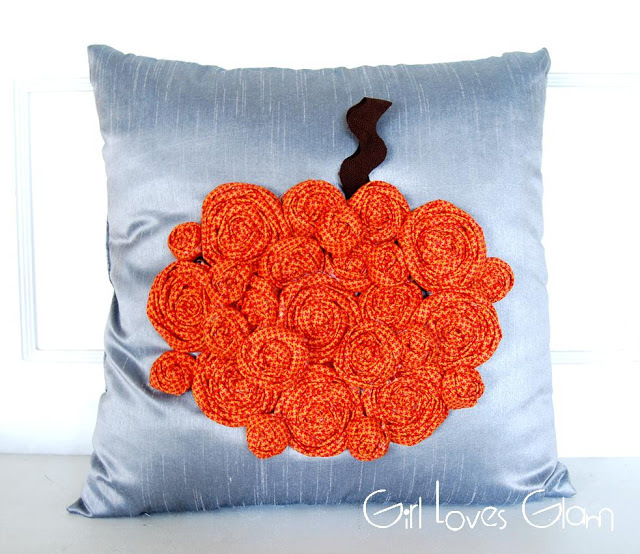 Click on the link under each picture to be taken to the tutorial. 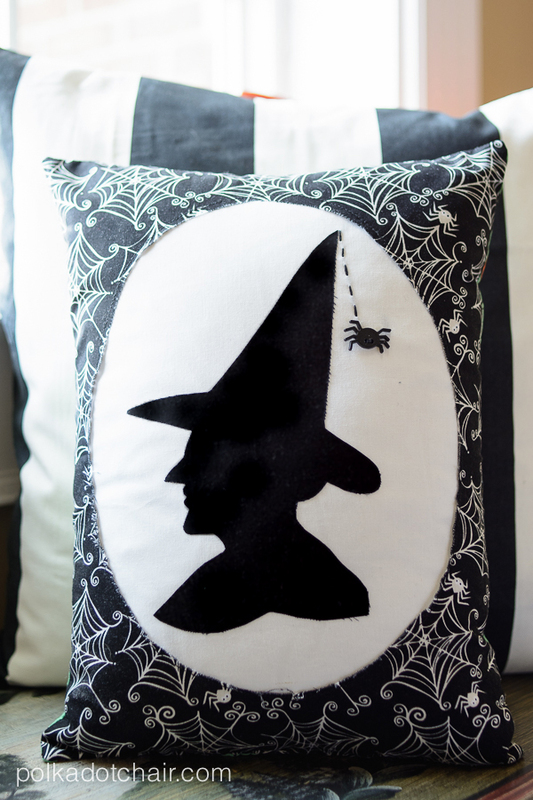 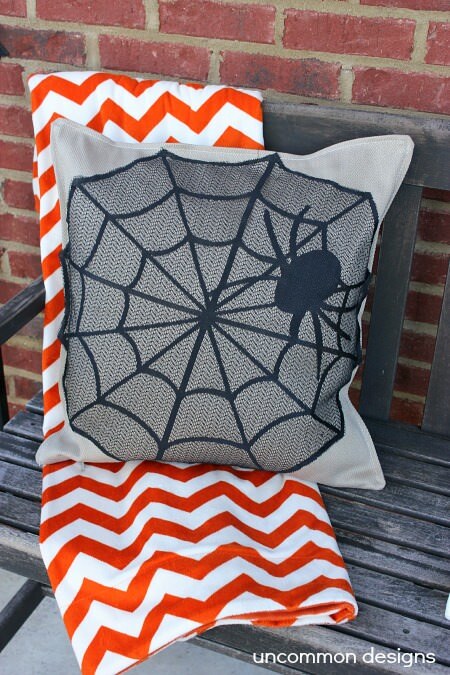 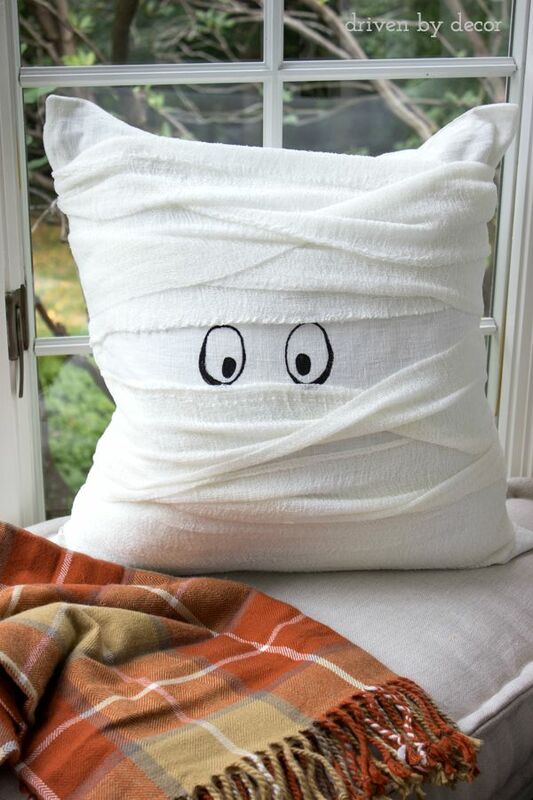 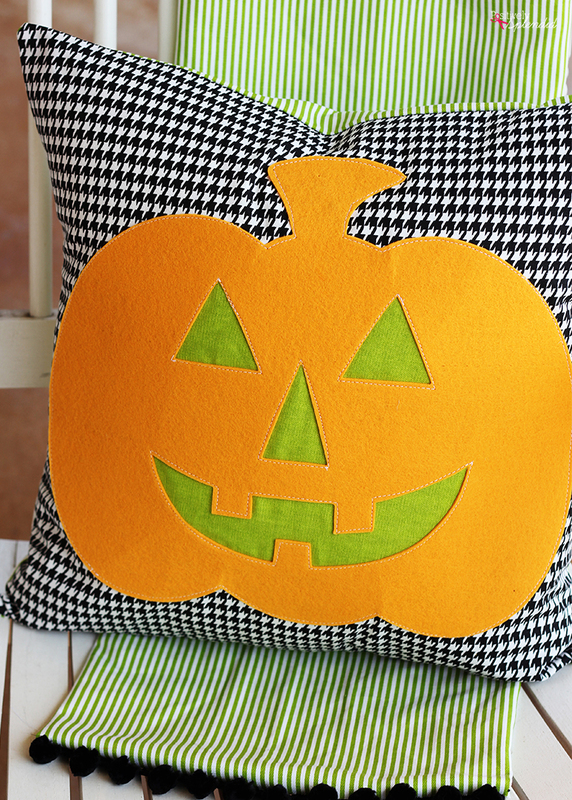 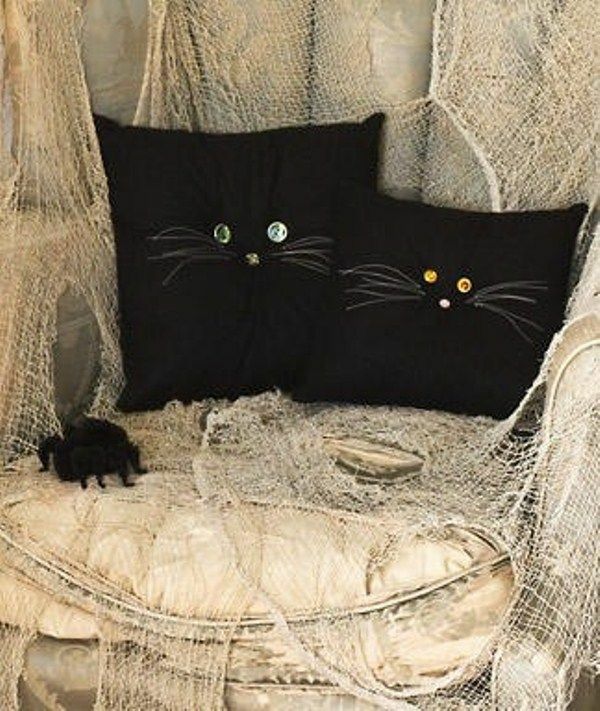 If you like these Halloween pillow ideas, share them with your friends and family!